Tablets may not be for everyone, but they’re uncannily well suited to the kitchen. They can guide you through recipes or play Netflix shows without taking up as much countertop space as a laptop. And unlike the Echo Show and other screen-equipped smart speakers, you can move them anywhere you like while you prepare your meal. But how do you go shopping for a tablet with kitchen use in mind? It can be tricky, since some of the usual shopping advice goes out the window. Here’s what you’ll want to consider if you’re buying a tablet as a cooking companion. When you’re buying a tablet with a single purpose like the kitchen in mind, don’t worry about getting the fastest, most capacious tablet you can afford; you don’t need the latest hardware to read the ingredient list. Instead you’ll want something that has just enough performance and storage to handle your recipe and media apps for the foreseeable future. What constitutes “enough” is bound to vary depending on when you’re reading this, so we’ll spare you the deep dive on specs. However, there are some general rules. If you’re at least slightly concerned about speed, look for a device with a processor and memory that would have been cutting-edge a year ago. (As of this writing, the recently updated iPad would fit the bill, as would Android tablets with Snapdragon 400/600 series chips.) And if speed doesn’t matter much to you? You don’t have to be too picky, although you’ll generally want to avoid hardware that’s either more than two years old or cuts one too many corners. If you see less than 2GB of RAM or an ancient dual-core chip, you’ll want to steer clear. Storage is usually easier to figure out. At this point, 32GB is common even on budget tablets, and it’s usually more than enough for recipe and streaming media apps. You’ll want to consider 64GB or more only if you either have many apps or intend to play media stored on the device itself. The microSD card slot you find on some Android and Windows tablets can be helpful if you’re not convinced that 32GB will be enough. If there’s any doubt about what’s good, you can always use price as a yardstick. As a rule of thumb, any tablet over $500 is likely overkill for the kitchen, while $300 to $350 is the sweet spot if you’re willing to splurge a bit. Even then, that might provide far more power than you need. Amazon’s Fire HD 10 offers solid performance for as little as $150, and it’s not hard to find other tablets in the $150–$200 range that make for adequate cooking helpers. Naturally, the situation changes if you plan to regularly use your tablet outside the kitchen. 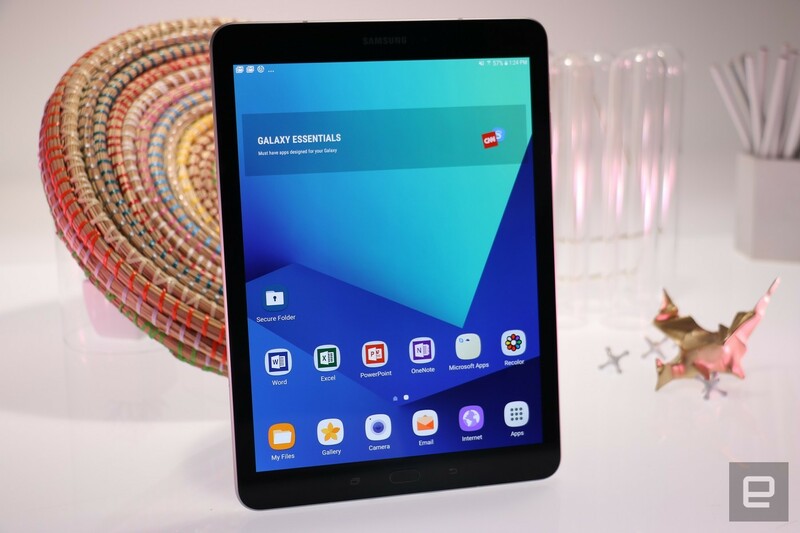 You’ll clearly have a good reason to spend more on hardware like the iPad Pro or Galaxy Tab S3 if you know your tablet will serve as an all-purpose workhorse. You may still want to exercise some restraint if you’ll be using it as part of your meal-making, though, as you really don’t want to risk losing a maxed-out iPad Pro or Surface Pro to a kitchen mishap. As we’ve hinted, the kitchen isn’t exactly kind to tablets, between messy ingredients and the flurry of activity that could send devices crashing to the floor. That doesn’t mean that you’ll want a rugged tablet, however. They tend to be costly, and they’re typically designed for in-the-field business users rather than the home crowd. You’ll be better off looking for a design with solid construction and a healthy selection of cases to protect it. Whether the chassis is made of aluminum or plastic, a tablet shouldn’t feel flimsy or have large panel gaps where flour and other ingredients could get stuck. And when it comes to the case, be sure to get one that adds a layer of protection. You don’t have to spring for an extra-tough case, but it should offer at least a modest level of shock resistance. Ideally, it should also have a lip that prevents scratches on the screen if you lay the tablet facedown. We’d consider brands like MoKo and Urban Armor Gear if you’re interested in particularly sturdy, stand-equipped cases. For that matter, keep an eye out for tablets that either have built-in stands (like the Yoga Tab series, if Lenovo updates it) or a selection of stand-equipped cases. Your tablet will likely need to sit upright while you’re cooking, and a built-in support can both preserve valuable countertop space and save you from having to buy a dedicated stand. While this is far from a make-or-break element, it might save you some hassle. No matter how powerful a kitchen tablet may be, it’s nothing without the apps you want while you’re cooking. Android and iOS tablets share many of the same media apps (Netflix and Spotify are virtually ubiquitous), but that’s not necessarily true with recipe apps. Popular apps like Epicurious and Yes Chef run only on iOS, for instance. Your best bet is to focus on finding the apps that meet your criteria and then figure out whether or not they’ll run on the device you want. Be particularly mindful if you’re shopping Fire tablets. Amazon’s Appstore does have a slew of popular titles like Allrecipes and Yummly (not to mention recipe-friendly social apps like Pinterest), but the selection is considerably smaller than on Google Play. In some cases, the most important app may already be built-in: a voice assistant. Amazon Alexa and Google Assistant can both walk you through recipes using spoken commands, making them invaluable if you don’t want to look at the screen while you’re baking dessert. Apple’s Siri doesn’t currently have the developer support needed for step-by-step voice control over recipes. That’s not necessarily a deal-breaker, but it does mean that you’ll be relying more on third-party apps with hands-free features. And whichever apps you choose, don’t forget to take their specific features into account when you’re tablet shopping. If you’re going to depend heavily on spoken commands or music, loud stereo speakers (found on tablets like Amazon’s Fire HD 10 and Lenovo’s Tab 4) are a definite plus; if you watch a lot of video or just don’t want to squint at instructions, be ready to pay for a reasonably large (9 inches or larger) screen. Cases aren’t the only add-ons you should consider buying. Whichever tablet you get, it’s worth setting aside some money for kitchen-oriented accessories that could make your life easier. If your tablet or case doesn’t have a kickstand, a dedicated tablet stand should be high on your priority list. You don’t normally have to worry about compatibility, but it’s worth getting a stand with both grippy rubber contact points and a wand that will let you poke at the screen without getting it dirty. (Prepara’s iPrep is a notable example.) Don’t worry about getting a tablet with stylus support — you probably don’t want to use an expensive pen with grease-covered hands. Should counter space be at a premium, look at a tablet mount that either clamps to a table edge or sticks to your wall or fridge. 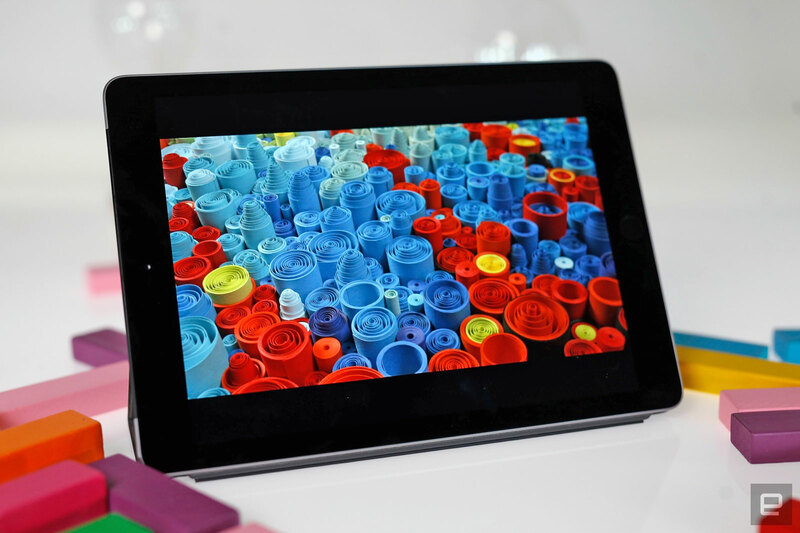 We don’t have specific recommendations, but you’ll want a mount that’s sturdy, offers a firm grip and doesn’t revolve around one tablet brand or model. You don’t want to throw out your mount (or any other accessories, really) when it’s time to upgrade your tablet. And if you work in a very noisy kitchen or want more than your tablet’s built-in audio, it’s worth budgeting for a speaker. 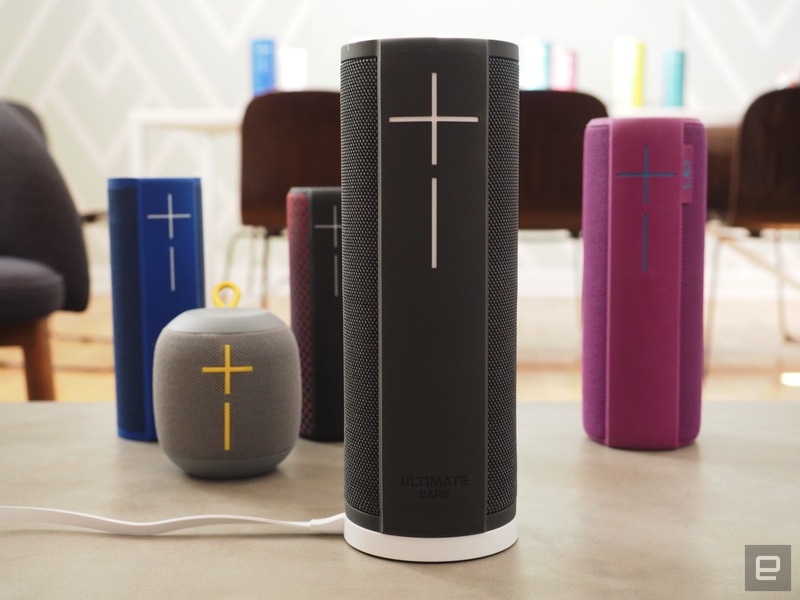 It doesn’t need to be powerful, but it’s worth looking at Bluetooth speakers, especially compact portable models like the UE Wonderboom or Beats Pill. Kitchen tablets are alluring in part because you can place them wherever you want, and ideally your speaker has that same kind of freedom. Amazon launched Alexa Routines last year and they let users set up a list of automated smart home actions that can be triggered with a simple command. For example, “Alexa, good morning,” could launch a Routine that turns on the lights, reports the weather forecast, reads news briefings and starts the coffee maker. Missing from the Routine capabilities, however, has been music. Well, no longer, because Amazon is now rolling out the ability to add playlists, podcasts and radio shows to your Alexa Routines. As of now, Amazon Music, Spotify, Pandora, iHeartRadio, Saavn, Deezer and TuneIn are supported. Users can add an artist, playlist, album, station or podcast from any of those services to their Routine. You can also set the volume for each Routine. Though Google Assistant got Routine functionality after Alexa did, it already allows users to incorporate music and radio. Last week, Google also added support for working audiobooks into Google Assistant Routines — something Alexa can’t do quite yet. You can adjust Alexa Routines through the Alexa app. The new function is rolling out now. In the wake of the Cambridge Analytica scandal, Facebook has been trying to make it easier for people to understand how their data is used on the service and how to keep their information private. Along those same lines, today the company has released a more straightforward reading of its terms of service and data policy. As of today, Facebook says that “we’re not asking for new rights to collect, use or share your data on Facebook. We’re also not changing any of the privacy choices you’ve made in the past.” Rather than making large-scale changes, the company is being more up-front about just what you’re giving away when you sign up for Facebook. For the next week, users can give feedback on both documents, after which Facebook will show finalized versions to all its users and ask them to agree to the terms. As for what’s new here, Facebook outlined seven different categories, including new features and tools, personalization, what the company shares, advertising, device information, addressing harmful behavior, and how data is shared between Facebook and other companies it owns (like Oculus and WhatsApp). While both of these documents are lengthy, they’re a lot shorter than the usual terms of service you might encounter when signing up for a service — they’re also fairly easy to understand at a high level. Naturally, the data policy is quite in-depth, but it’s worth spending the time reading to really understand exactly what Facebook can do with the information you share. If nothing else, it’ll help you figure out how to limit how much of your data the company can share with others. Another noteworthy section of the data policy outlines exactly what the company knows about the various devices you use Facebook on. In short, it’s a lot, including your device’s “operating system, hardware and software versions, battery level, signal strength, available storage space, browser type, app and file names and types, and plugins.” That’s just for starters — it can also access “Bluetooth signals and information about nearby WiFi access points, beacons, and cell towers.” Being able to access is different than sharing with other companies, and there’s no indication that any of this data leaves Facebook, but it adds to the concerning thought of just how much this company knows about its users. Basically, if you’ve ever used Facebook for any length of time and have any interest in keeping your account active, read these two documents. After you’re done, you may or may not change your mind — but at the very least, you’ll be better informed about what the company is doing with the mountains of information it can get about you and your online behavior. Heart pounding, hands shaking, head packed with static. The absolute inability to process what anyone is saying, let alone respond to it. Sitting alone at home — lights off because you’ve been inside all day and the sun set hours ago, but your legs have been glued to the chair for just as long — computer screen glowing. Wanting to be outside but unable to deal with the idea of people, conversation, smiling, pretending. Feeling worthless. That’s the message Kate Edwards and Mike Wilson are trying to cultivate in the independent game development community. Depression, anxiety and other mental illnesses are common, and any person feeling this way is not alone. “This is part of development, it’s normal,” Edwards says. “It’s abnormal to not feel this way,” Wilson adds, nodding. Edwards is executive director of Take This, a five-year-old non-profit organization dedicated to helping people in the video game world talk about and manage mental illnesses. Wilson is the co-founder of Devolver Digital and Good Shepherd Entertainment, two powerhouses in the realm of indie publishing. He deals directly with indies every day, and when he met Edwards, Wilson had seen four developers under his labels hospitalized for mental health problems in just two years. With this reality as their connective tissue, Edwards and Wilson hit it off. In March, Wilson joined the board of Take This. 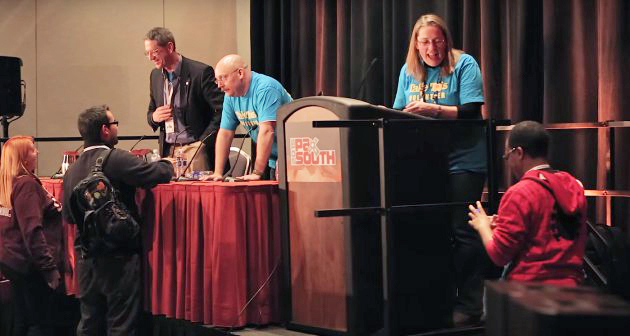 Take This was founded in 2013 by video game journalists Russ Pitts and Susan Arendt, alongside clinical psychologist Dr. Mark Kline. Pitts and Arendt were shocked into action after the suicide of a colleague in 2012, and they started the Take This blog to discuss mental illness in the video game industry. It hit a chord, and the blog blossomed into a non-profit that provides resources and panels on the benefits of having an open dialogue about mental illness. Plus, it publishes white papers on harmful game development practices and hosts the AFK Room at major gaming conventions across the country, offering quiet spaces staffed by licensed clinicians for anyone feeling overwhelmed by the bustling, noisy floors at PAX and other big shows. Though Take This is concerned with broadening the mental-illness conversation across the video game industry, from AAA to one-man dev teams and even journalists, Wilson is specifically invested in the health of indie developers. Edwards is, too — she was executive director of the International Game Developers Association from 2012 to 2017, and she’s seen first-hand how the indie lifestyle can contribute to depression, anxiety and other illnesses. Independent development has become a mainstream pursuit over the past decade. High-profile successes, the advent of digital-only publishing and accessible game-dev tools have pushed the indie industry into the spotlight, with triumphant developers pulling in millions from a single title, seemingly overnight. Yet there are even more developers who spend years building a quality game, expecting the big indie payoff, only to see sales fall well below such high expectations. 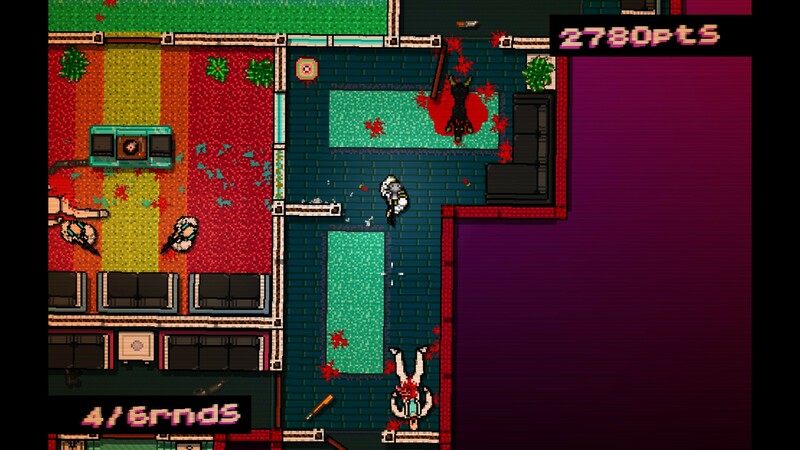 Hotline Miami is a perfect example of the modern indie mental toll. The game hit Steam in 2012, the brainchild of two-man development squad Jonatan Soderstrom and Dennis Wedin, and published by Wilson’s Devolver Digital. 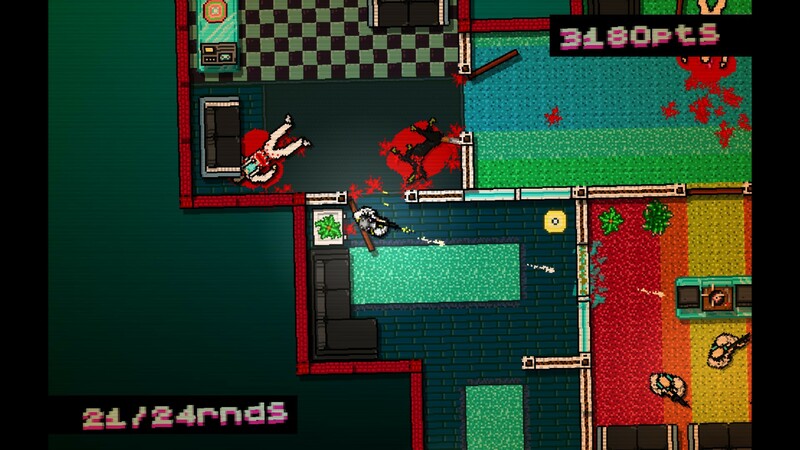 Hotline Miami is the game that put Devolver on the map as an indie publisher — it was an immediate, massive success, selling 300,000 copies on PC in its first four months alone. It’s an ultra-violent, neon-splattered, top-down action game set in 1989, complete with a trippy storyline involving the Russian mob, mysterious janitors and a series of power-endowing animal masks. “Dennis completed some of those levels of Hotline from an institution,” Wilson says. Wedin was hospitalized for two weeks during the development of Hotline Miami as he dealt with the end of a romantic relationship. “I was super depressed during the first game because of my breakup, which was really rough on me,” Wedin says in a Hotline Miami documentary produced by Complex. From the mental health ward, he infused the game with personal tidbits from his relationship — but neither Wedin nor Soderstrom told Wilson about the hospitalization. He only found out about it because he watched the documentary. Wedin didn’t want anyone at Devolver to worry, Wilson says. This was a wake-up call for Wilson. There’s no physical indicator for mental illness, no solitary mold of person that it affects. According to the National Institute of Mental Health, one in six adults in the United States lives with a mental illness — and of course they don’t all look or act the same way. Sometimes, there is no red flag. Wedin’s hospitalization went down before Hotline Miami became Hotline Miami — before it turned Soderstrom and Wedin into rich, big-name indie developers. After the game came out, their lives changed dramatically, but not necessarily for the better. It wasn’t supposed to be a big game. Wilson is aware of four Devolver and Good Shepherd developers in the past two years who have been hospitalized for mental illness, but he knows there are more stories out there, even more people wrestling with their demons alone. “It’s still a massive pyramid of people,” Edwards adds. Indie developers face a specific brand of pressure, much of it internal. Edwards admires the drive that she observes in these folks, but she also sees how the common indie workflow can push developers deeper into their own minds, driving negative introspection and forcing isolation as they try to finish their games at any cost. I happen to know they’re extremely introverted, as many people in this industry are, which just compounds the problem. I saw them and I could just tell — I had known them long enough, I could tell they were having issues and I just gave them a big hug, and they just started crying like crazy. Here’s where Take This comes in. Its mission is to let developers like this one know that they’re not alone, and provide resources for them to improve their mental states. The organization offers resources on finding a therapist, taking antidepressants and anti-anxiety medications, and even supporting friends who are dealing with a crisis. Take This received a grant this year from Child’s Play, a large charity that provides video games to kids in hospitals, to help it implement the AFK Room at every PAX convention in North America. There are plans to expand the AFK Room to other conventions, as well. To further aid in this goal, Take This recently established a crowdfunding campaign seeking $50,000 by April 30th. There’s also the new Take This Ambassador Program, which aims to train YouTube and Twitch streamers in discussing mental illnesses, so they can better manage their own crises and pass along valuable information to their audiences. The program is due to roll out this year. Take This is building an army of indie developers and streamers who are equipped to help people — and themselves — through mental illnesses. It all starts with conversation. New Zealand based launch company Rocket Lab has had multiple successful test drives, and now it’s ready for the real thing. The company announced this morning that its first commercial launch is scheduled to occur this month. The launch window will open on April 20th and will last for 14 days. The Electron rocket will lift off from Rocket Lab’s Launch Complex 1 on the Mahia peninsula in New Zealand. This mission is called “It’s Business Time,” a cheeky change from the previous launches, “It’s a Test” and “Still Testing.” It will include payloads from Spire Global, which has a constellation of Earth-observing satellites in low orbit, and GeoOptics, Inc., an environmental data company. Technically, the company’s second launch had commercial payloads, but it was still a test flight. Rocket Lab has had two successful tests of its Electron rocket; the last one was just three months ago. “We always set out to create a vehicle and launch site that could offer the world’s most frequent launch capability and we’re achieving that in record time,” the company’s CEO, Peter Beck, said. The company has been aggressively 3D printing the parts for the Rutherford engines, and it hopes to be on a schedule of one launch per month by the end of the year. Apple Music and iCloud Music Library sometimes face slight delays when syncing your music between devices like a Mac and iPhone, but since the launch of iOS 11.3 reports about these delays have grown much more frequent. On the MacRumors forums, in Apple’s support communities, and throughout numerous Reddit posts, users have mentioned that when they add new music on their Mac or iPad, it no longer appears on their iPhone. Some users have said that toggling iCloud Music Library on/off works to kickstart the sync and force a refresh of albums on their iPhone, but that has the potential to cause further problems like deleted music and the removal of some song downloads. Fortunately, one user on the Apple support communities website has shared a helpful temporary fix for the issue, which MacRumors has been able to successfully perform more than five times. To manually refresh your iPhone’s music library, simply create a new, blank playlist by navigating to the Library tab in the iOS Music app, tap Playlists, tap New Playlist, and tap Done. Once the refresh is done, jump to the bottom of the Playlists page and 3D Touch to delete the empty playlist. Note that this will also update songs added and removed within playlists. There is no fix for this, but there is a work around until Apple fixes this: just create a blank playlist on the iOS device. This forces a read/write with the library stored in iCloud, then all your changes will suddenly get pulled down. You have to do this every time, it’s essentially a manual refresh now. Unfortunately, the reverse method doesn’t appear to work as consistently in iTunes on Mac, but desktop users also have another potential easy solution to refresh their library: simply rate a song by loving/disliking it. Afterwards, the Recently Added tab in iTunes should refresh with the addition or removal of content that you made on any other devices connected to the same iCloud account. On both macOS and iOS, you can also add any other new song, album, or playlist to your library to manually refresh and force the content not syncing across devices to appear. Then, you can delete the new songs after everything else has been updated. Multiple Apple Music subscribers have opened up support cases on the bug, and Apple support in most instances have said that it’s not a known issue. However, support staff told one user that they will start an investigation after he “rebooted, changed password, signed out of iCloud, switched iCloud music library off,” and more. Apple has updated its special enterprise-focused version of iTunes that still has a built-in App Store for those who need it. Download links for iTunes 12.6.4.3 have been quietly made available in an Apple support document related to deploying iPhone and iPad apps in a business environment with iTunes on Mac or Windows PCs. The update was prepared on March 20 and released on Tuesday, according to German blog iFun.de. The version doesn’t include new release notes, so it is likely a minor update with bug fixes and stability improvements. Apple removed the App Store in iTunes 12.7 last September, but it released iTunes 12.6.3 shortly afterwards for business customers or anyone who might still need to use the desktop software to install iOS apps. Those who have already downloaded iTunes 12.6.3 will likely not be prompted about the iTunes 12.6.4.3 update, so they’ll have to update manually by downloading and installing the new version from Apple’s support document. iTunes 12.6.4.3 can be downloaded by anyone, including those who have already installed iTunes 12.7. If at any point users want to update to iTunes 12.7.4 or later, they can do so manually from the main iTunes download page. Dan Smith was only 18 when he won the BAFTA Young Game Designers Award in 2016 for the prototype of his first-person puzzler. Now, his creation is almost ready to hit your consoles: video game publisher Ripstone Games is releasing The Spectrum Retreat on PS4, Xbox One, Nintendo Switch and PC sometime this year. The game puts you in an unsettlingly pristine art deco hotel called The Penrose, where you have to solve color-coded puzzles and take on physics challenges to unravel its secrets and solve the mystery surrounding your stay. We don’t know about you, but we’re hoping that The Penrose is a combination of Hotel California and the Overlook from Stephen King’s The Shining — a hotel that messes with your mind and won’t let you leave. The Spectrum Retreat doesn’t have a specific release date yet, but we’ll update you when the company releases more info. When Amazon launched Echo Buttons last year — the Bluetooth devices that bring a new dimension to games on Alexa — the general consensus was that they were a cute addition to the ecosystem, but probably weren’t going to add anything significant to the Alexa experience. However, Amazon has now opened up a beta version of the Gadgets Skill API for the hardware, suggesting that it wants developers to take the accessory’s capabilities further. Vice president of Amazon Alexa Steve Rabuchin said earlier this year that consumers could expect more compatible games. Indeed, a preview version of the API has yielded an Alexa version of board game classic Trivial Pursuit, and an Alexa-style take on light up memory game Simon is reportedly on its way. Another creation includes light up play back of Dr Martin Luther King’s famous “I have a dream” speech. This isn’t a game, admittedly, but it does nod at other ways Echo Buttons can be used, which Amazon now seems very keen to explore. Last week, Congress asked Facebook founder and CEO Mark Zuckerberg to testify before the House Energy and Commerce Committee on the topic of data privacy. Now the House of Representatives has confirmed that Zuckerberg has agreed to appear; the hearing will take place on April 11th at 11:00 AM ET. The Senate Judiciary Committee has also asked Zuckerberg to appear and testify, along with Google CEO Sundar Pichai and Twitter CEO Jack Dorsey. The subject is, once again, data privacy. According to CNN’s sources, Zuckerberg has agreed to appear on April 10th, but we don’t have any confirmation of that as of yet. It’s as yet unclear whether he will testify before both committees or this will be Zuckerberg’s only appearance before Congress on this particular matter.